The Ministry of Research, Technology and Higher Education of the Republic of Indonesia has received funds from KfW for the purchase of medical equipment for the facilities of the Hospital UNHAS Makassar. 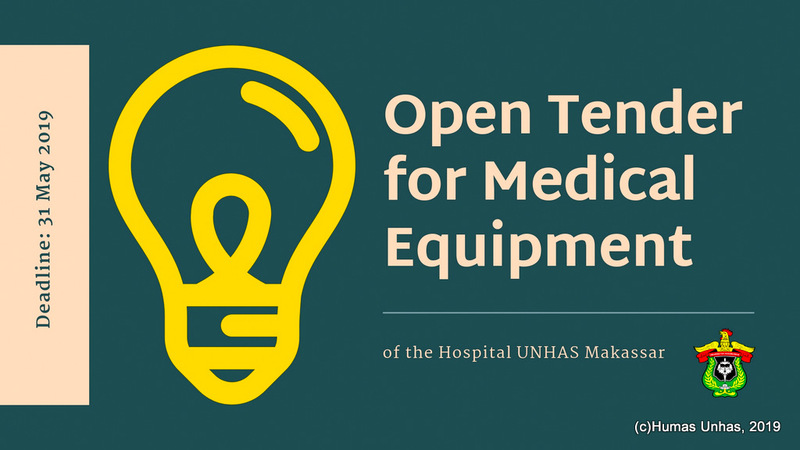 The Ministry of Research, Technology and Higher Education invites sealed Bids from eligible Bidders for the supply and delivery of medical equipment. Attached are the complete set of bidding documents to interested Bidders, to be submitted by the bidder until the last date of tender submission. Interested eligible Bidders may obtain further information in respect of the bid documents from the office of management4health GmbH, Hebelstr. 11, in 60318 Frankfurt/Main, Germany, Email: procurement@m4health.pro. All correspondence shall be copied to Dr. Indrianty Sudirman, email: twg@unhas.ac.id.